Did you know that there are about 300 orca whales living off the coast of British Columbia year-round? 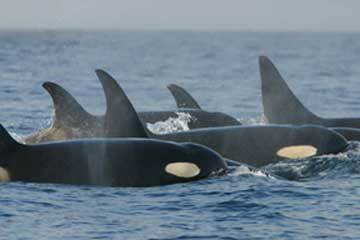 Orca whales show up in many First Nations stories. In some tales, orca whales take people from canoes and turn them into whales, too. An orca whale near the shore is sometimes seen as one of these people trying to talk to their family. Whales live in family groups called pods. A pod has between 5 and 30 whales. Pods always stay together. A female orca whale is called a cow. She is the head of the family. A male orca whale is called a bull. Cows and bulls mate for life. Cows will have about five babies in their lifetime. When a baby is born, it comes out tail first. The mother brings it to the surface of the water. The baby takes its first breath of air. After a half an hour, the baby can swim on its own. By age two, it can hunt. A bull will live up to 50 years. A cow will live up to 90 years. The orca whales in the pod talk to each other. They talk using fast, high clicks. The sounds can be as loud as a jet. Each pod has its own sounds. 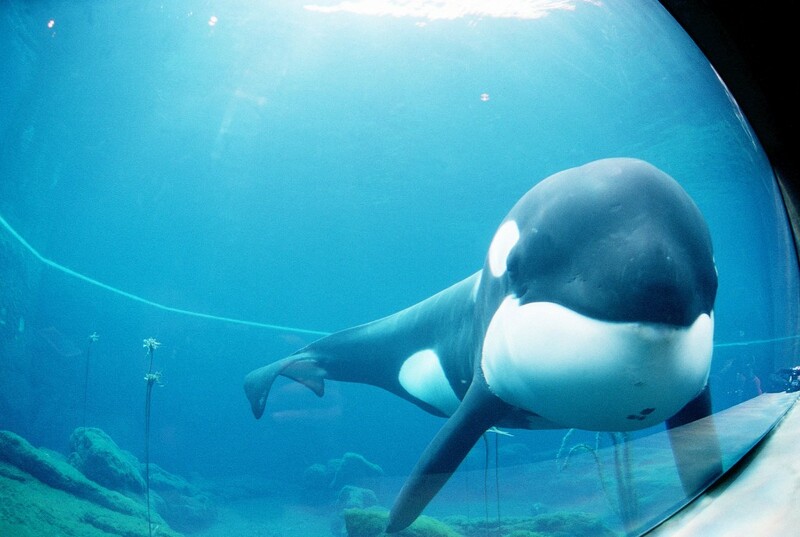 Did you know that orca whales cannot breathe underwater? They must breathe air through a blowhole on top of their head. They can hold their breath for up to 15 minutes as they dive deep into the ocean. Orca whales are one of the fastest animals in the world. They have tails called flukes. Their flukes give them power when swimming. Their two flippers help them steer. Their fin keeps them stable when they go fast. Orca whales usually swim close to shore and near the surface of the water. Sometimes they spy-hop. This means they stay upright in the water to look around. Sometimes they breach. This means they jump right out of the water and land with a big splash. In British Columbia, orca whales do something no one understands. They come onto some beaches and rub their bodies on the smooth, round pebbles. Sometimes they do this for hours. They do not do this in other parts of the world. Orca whales are good hunters. To hunt, they send out sound waves. Then they listen as the sound waves come back. This tells them where to find food. They eat fish and small sea mammals. Salmon is their favourite. They eat about 50 kilograms of salmon a day. They work together to hunt. They slap the water with their tails to stun or kill the fish. They also herd fish into a small area and then gulp them down. Up north, they tip floating sea ice so that seals, walruses, and sea lions will slide into the mouth of another whale who has been waiting there. The biggest threat to orca whales is people. People build dams on rivers. The dams kill many salmon. With less salmon to eat, orca whales die, too. People move lots of oil across the sea in big ships. Sometimes oil leaks out of ships. The oil is soaked up by small animals. Then the orca whales eat those small animals and get sick. Also, the loud noises from the engines of oil tankers make it hard for whales to use sound waves to find food. People take orca whales out of the wild. About 150 orca whales have been taken out of the wild. They are put in pools for shows. Often the fins of whales that are kept in pools flop to one side. This is a sign of stress. An orca whale taken from the sea will only live about five more years. Many people want to help orca whales. They say we should not build dams on rivers. They say we should not allow more oil tankers along the coast of British Columbia. They say we should not allow people to keep whales in pools. They can’t imagine a British Columbia without orca whales. Can you? When we read, we sometimes come across words we cannot sound out or do not understand. Sometimes writers put a definition of a word in the text so that you don’t have to look it up in a dictionary. A female orca whale is called a cow. A male orca whale is called a bull. Orca whales must breathe air through a ____________ on top of their head. 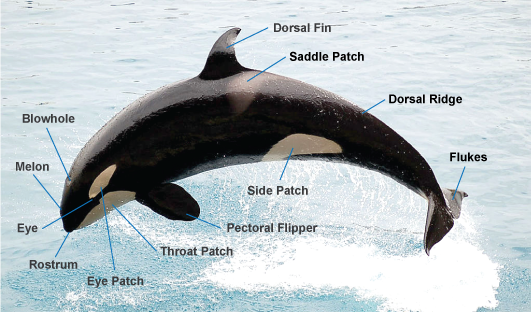 Orca whales must breathe air through a blowhole on top of their head. See Spy-Hopping with Orca Whales in BC Reads: Adult Literacy Fundamental English – Course Pack 3. 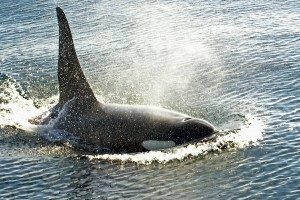 Victorious Orca by digicla is used under a CC BY 2.0 license. Orca pod southern residents is in the public domain. 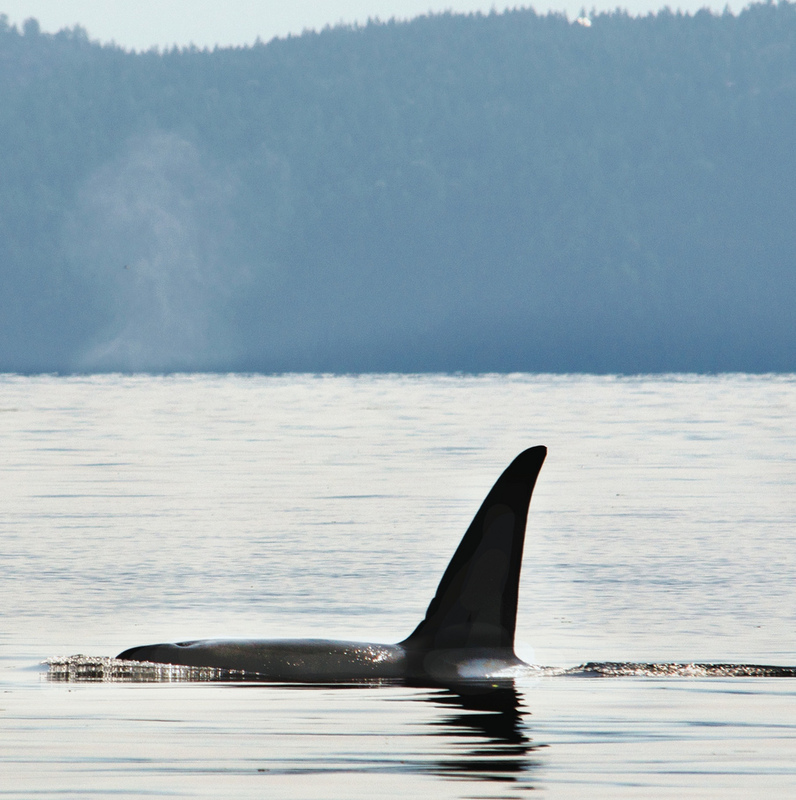 Surfaced Orca II by Alan is used under a CC BY 2.0 license. Jumping Orca by Mlewan is in the public domain. This photograph has been modified. 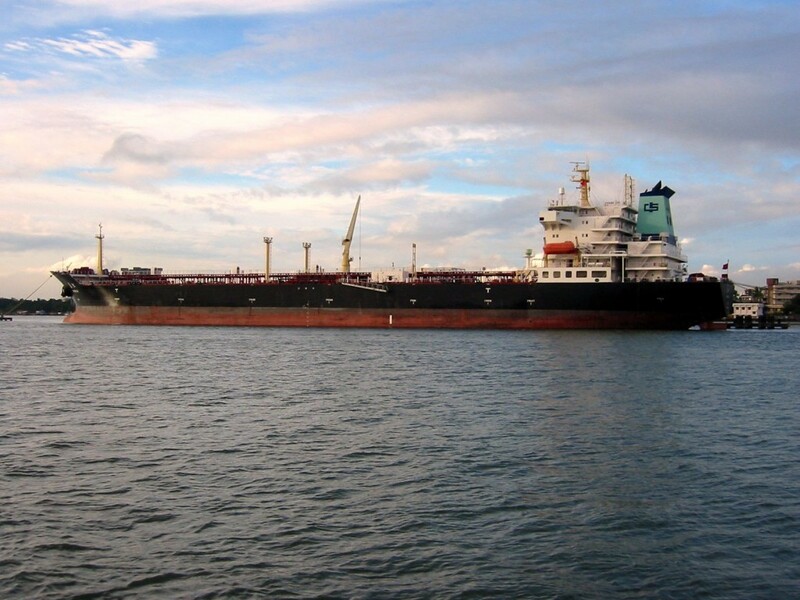 Oil tanker in Japan by Mohan R is used under a CC BY 2.0 license. Keiko the killer whale is in the public domain. Spy-Hopping with Orca Whales by Shantel Ivits is licensed under a Creative Commons Attribution 4.0 International License, except where otherwise noted.